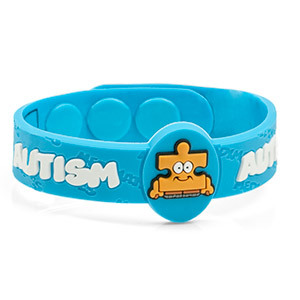 This cute Austism bracelet makes it easy for your child to wear and brings awareness to others in the event of an emergency. Fits most children three years and older. Latex free.